Steven (Chicagoland, United States) on 4 April 2018 in Plant & Nature and Portfolio. Fern Room of the Lincoln Park Conservatory in Chicago, Illinois. I really can FEEL this space, Steven, having been in the one at Callaway Gardens in Georgia (as I've said before). How beautiful. All very inviting I must say . .
Really, it's a place to have a quiet time. I wish I could have a siesta there ! Beautiful nuances of green . Very inviting . SUch a lush view. LOve how you framed the bench. 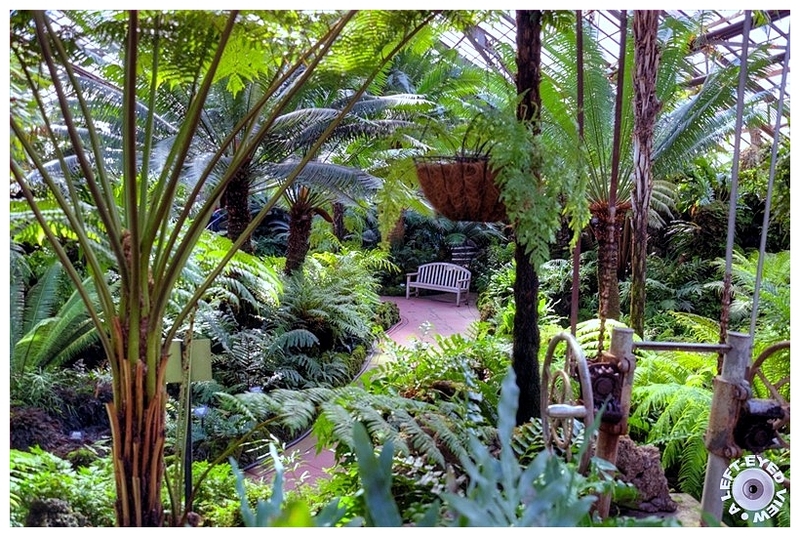 A very attractive fern room with an appealing place to take a break. Oh mais j'arrive à temps pour m'installer sur le banc ! A beautiful resting spot in this beautiful conservatory. A world of green. Such a gorgeous place. I would love to sit on that bench for a while and take it all in! That is such a lovely view. Beautiful setting and image, Steven! Because of the surroundings, it was a very well chosen place to allow us to talke a little break and rest.